Occasionally, you may receive a payment that covers more than one invoice. When this happens, the easiest way to manage things is to split the transaction into the respective invoice amounts, and then apply the invoice payments. A function to split transactions existed in the previous version of the Transactions page, but we’ve made some upgrades to make the process more intuitive. In the previous version, splitting a transaction would result in two separate transactions with amounts you would be required to enter manually. While this worked in that you could split transactions between categories or assign to multiple invoices, things became a bit tricky when it came time to perform reconciliation. What appeared on your bank statement as one transaction would appear as two or more in Wave, resulting in the need to mentally add up any split transactions. We’ve fixed this, and if you’re not a fan of unnecessary mental math, you’ll love the new process. 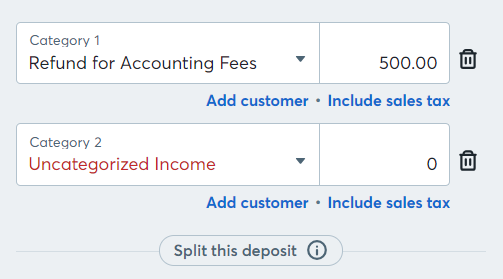 If you have a transaction that you’d like to split, navigate to the Transactions page, click on the transaction and Click Split Deposit/Withdrawal. A second category menu will appear, giving you two options for categorization: Category 1 and Category 2. You can split the transaction further as needed. Categorize the transaction, selecting Payment Received for an Invoice in Wave if any of the individual parts of the transaction are an invoice payment. 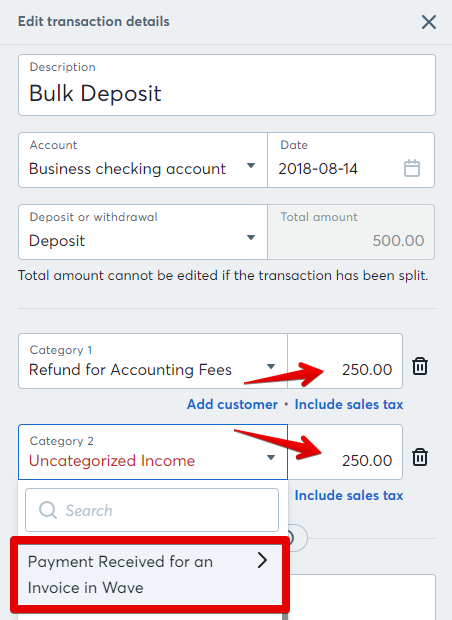 Change the amounts next to each category to reflect the amounts that you’d like to split each part of the transaction into. You’ll now have a transaction that appears once in your list of transactions but is made up of smaller, individually categorized parts. That’s it! 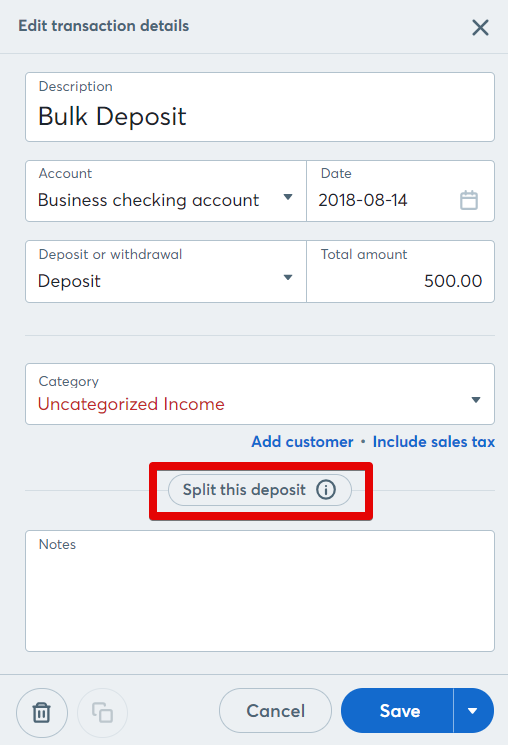 When it comes time to reconcile your transactions against your bank statement, your split transactions will line up exactly with the transactions from your statement.